Saying goodbye to not one, but two bakers last week was tough (see ya Sarah-Jane, ta-ra Ryan), but be prepared for a tough battle as the challenges get even harder this week when the bakers try their hands at biscuits. From crispbreads to teacakes, there’s plenty for Mary and Paul to criticise, while Mel and Sue will surely be in raptures over this week’s showstopper challenge: an incredible gingerbread house. Make sure you’ve got a cuppa and sweet treat to enjoy while watching! 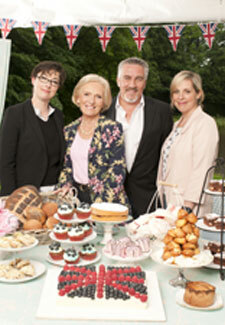 The Great British Bake Off is on BBC2 tonight at 8pm.